More than 35,000 people are expected to participate in the Army Ten-Miler race this Sunday. The race begins and ends at the Pentagon. In between, the course heads into D.C., going along the National Mall and past the Lincoln, Korean War and Martin Luther King, Jr. memorials and the Washington Monument. Police say there will be street closures as a result of the race beginning at 6 a.m. and ending at noon. 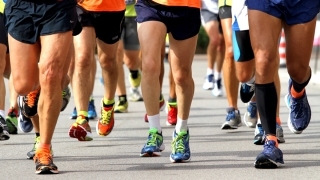 Affected roads include parts of Rock Creek Parkway, Constitution Avenue NW and Independence Avenue SW.
Metro will open two hours early, at 5 a.m., to help runners get to the start of the race.